My birthday was this weekend and I gave myself the gift of several athletic personal bests. The only reason I could celebrate my birthday in this way was that five years ago this weekend, on my 50th birthday, I chose to change my mindset and focus on exercise and eating right. Five years ago I gave myself a life-changing gift. My transformation also benefited my family because my new mindset has made me a better person. We all have the opportunity to make an important mindset shift, to give ourselves the gift of a reinvented life. You can do it too, starting today. Perhaps you’re considering a career change, going back to school, establishing a nonprofit organization, starting a business, beginning a blog or YouTube channel, or writing a book. 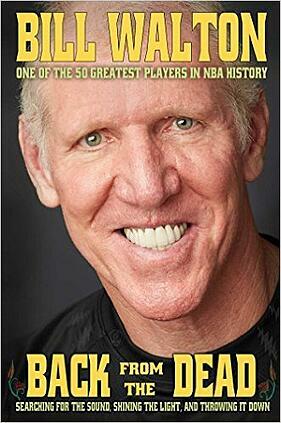 When his NBA basketball career was prematurely finished due to terrible leg and ankle injuries, my friend Bill Walton had to do something new to support his family. Despite a lifelong stuttering affliction, he chose a career in radio and television broadcasting. It seems like a ridiculous choice for a man who could barely talk, who was so scared to communicate that he just didn’t do it. But Bill chose to work really hard on his speaking skills, starting with chewing gum to strengthen his mouth and jaw muscles. He slowly built enough confidence to start his career with non-paying gigs at obscure local event broadcasts and began working his way up. Bill gave himself the gift of a new beginning, a second career that has taken him to new heights. Bill eventually won an Emmy Award and was named one of the top 50 sports broadcasters of all time by the American Sportscasters Association. It’s been a long strange trip for Bill, from stutterer to one of the best, all because of the gift Bill gave himself, the gift of reinventing himself by learning a new and difficult skill. Bill is also a frequent speaker at corporate events, something that he couldn’t even imagine himself doing back when he was a player and afraid to communicate with words. I just finished Bill’s wonderful new memoir Back from the Dead. I know Bill from the Grateful Dead world. He’s the world’s biggest Deadhead, not only because he's 6'11" tall but also because he has seen over 850 Grateful Dead shows. Bill wrote the foreword to my book with HubSpot CEO Brian Halligan Marketing Lessons from the Grateful Dead and it’s by far the best part of the book, because among his many other skills, Bill is a writer. 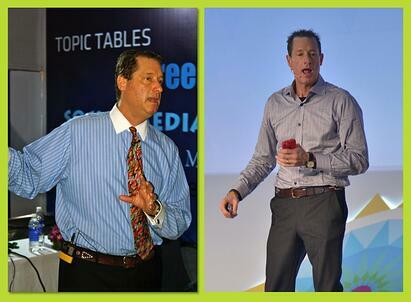 Bill and I also both work with Tony D’Amelio and his team to manage our speaking businesses. As I read Back from the Dead, I think its best quality is how we can all learn from this wonderful man about how to play to win at the game of life—grab it hard, take time for the music, experience all it has to offer, and hold on for the ride. Five years ago I looked into the mirror and didn’t like what I was seeing. I was out of shape and that affected the way I looked and felt. On my big five-oh, my family gave me a pair of fun board shorts. They were my size but I hated how big they were. Right then I vowed to do something about it. I never wore those shorts because that was the day I gave myself the gift of starting to get in shape. 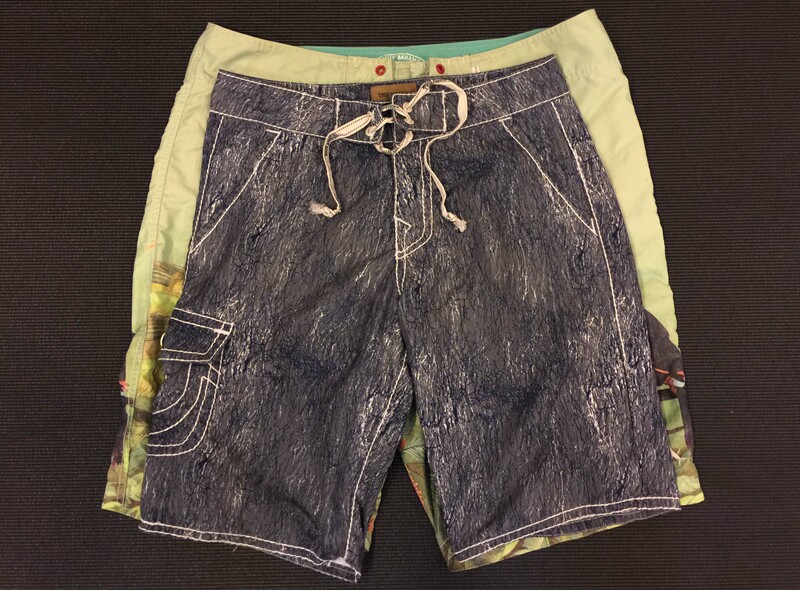 I kept those big shorts and sometimes compare them to a pair of shorts I wear now that are more than six inches smaller at the hips. I also like to compare before and after photos of me speaking at events. I was in a 25-yard pool so I had lots of walls to push off. Although I swam a personal best time, no matter how hard I work, I can’t break 2 miles an hour. But that’s okay because 5 years ago I couldn’t swim more than about half a mile without stopping to rest. My run was on a dirt trail that has a few minor hazards like rocks and sticks and a few small hills. I used to hate running. Now I like to get out into nature to move my body. To reach these numbers, I did 20 sets in about 45 minutes. All are the most I’ve done in one session. I lost count at one point so it is likely I did a few more sets and I could have done even more. My core is very strong now from weekly human body resistance work for five years and this strength is great for my surfing, which I absolutely love. While these fitness milestones are a wonderful gift to myself, there are millions of people who are much better athletes than me - so many people I know are stronger, faster, better. I have huge respect for those who compete in marathons, triathlons, and endurance events. I’m especially in awe of people with disabilities and who still compete at the highest level. My gift to myself five years ago changed my life. What gift will you give to yourself? When will you do it? Because now is your time.